Casa Pacata is all but full for high and peak season 2017 and is already got dates for 2018 booked. Why is this property so popular, well described as “home from home”, a charming 3 bedroom villa with private gated pool, located 10 mins walk from Carvoeiro, with the use of the Quinta do Paraiso facilities. Villa Mediterraneo, is one of our flagship new large villas, this stunning 6 bedroom villa which sleeps 12+2 is located 20 mins walk from Carvoeiro, on the edge of Quinta do Paraiso (special rack rates available for our clients to use the resort facilities). With a 12m by 5m heatable pool, man-made beach, kids playground, aircon, Wifi, IPTV, Games room and endless indoor and out door games for kids of all ages, or just relax in the hammocks or by the pool. Casa Filarte, a 4 bedroom villa with gated pool, sea views, aircon, WiFi, well equipped and located 1km from the center of Carvoeiro. This is a perfect villa for 1 or 2 families, or a 5 night break for a group of ladies (popular with a number of repeat clients). Also worth noting are Casa Mareceu which now has limited 2017 dates, close by we will have Casa Caravela which is not available yet for bookings until January 2017, but will book fast. Although Pac4Portugal is a relatively new brand (2 years) it comes with a wealth of experience and a number of well established companies. The team definitely live up to their “Personal Service, Local Knowledge” and as such continue to expand all areas of the business, through recommendations and networking. You can read more about the team on About Us. Also worth noting that although at this time our main websites are in English, the team can also speak Portuguese, French & German and we already work with clients in these languages. Our whole package offers you the following and more. Pac4Portugal currently also owns its own properties for rental and continues to develop more…this helps us understand the different needs of our owners and rental clients. We use all our experiences to continually develop our packages and where possible offer clients innovative improvements to their properties so they can achieve more. Working closely with two well established estate agencies in the Carvoeiro area we can you find the right property to buy (we do not earn commission from these companies, but offer service). Pac4Portugal continues to build its reputation in the construction part of the business for quality work at good value prices. As the opportunities to build new villas on previously non developed land becomes harder to achieve, clients continue to turn to renovating older properties. Also you will find that the older properties the swimming pools start to lose water and ground movements start to crack pipes and the concrete lining in the pools. We have a specialist team that can give your swimming pool a makeover, while repairing the problems and adding much needed damp proofing. While you repairing the swimming pool this is prime time to add new terracing around the pool as well. Are you planning a special occasion away with all your friends and family. Whether it is a special birthday, a wedding or an annual holiday with all the family then we may have villa perfect for you. Book soon as the larger villas are starting to book up already for 2017. In Pac4Portugal Carvoeiro Villas portfolio we have the following that may tempt you. Villa Mediterrâneo, a stunning a 6 bedroom, 6 bathroom villa with 12m by 5m swimming pool, lawn, man-made beach, games room. It is located on the edge of Quinta do Paraiso (a few minutes walk), 20 mins walk from Carvoeiro. This has been designed especially for rentals of larger groups and people of all ages. 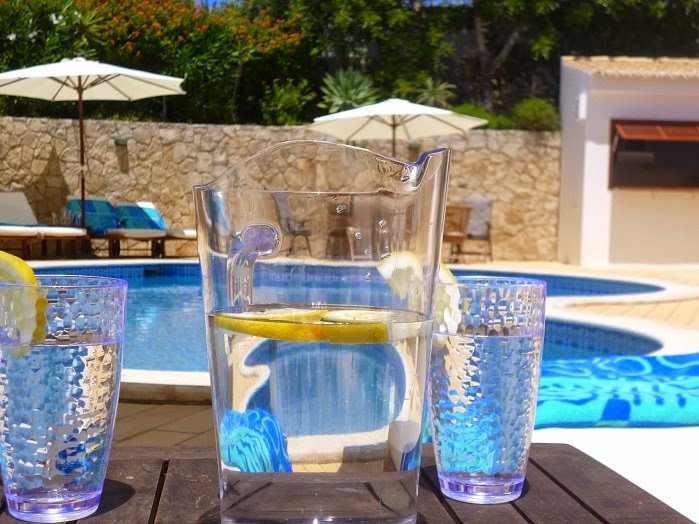 Casa Mill Reef, is a 6 bedroom villa on Carvoeiro Clube, in an exclusive area close to the tennis centre, with large heatable private pool, 3 large lawns and every possible convenience required for your stay. Casa Mouraria is a magnificent Moorish style villa and does full credit to its name of ‘Moorish Summer Palace’. Entrance to this stunning villa is made through wrought iron gates and calcada driveway. Set in lush tropical gardens this imposing villa has been furnished to a very high standard complete with imported Moroccan furniture to enhance the decor. With a 5 bedroom villa and 3 bedroom villa adjacent to accommodate up to 30 people. In 2018 we hope have 2 more stunning large villas available located just 1km from Carvoeiro beach, these along with a 4 bedroom villa will be able to accommodate between 30-32 people. We have an experienced renovations team at Pac4Portugal offering you a high quality product at competitive prices coupled with a wealth of knowledge. We are continually approached from two sets of clients for our work as our reputation continues to grow. Ground movements in Carvoeiro the Algarve are common. Over time the shifts in the ground start to affect the swimming pool walls and swimming pool terraces, especially in those where the ground was built on under initial construction. Casa Altojo was loosing water from the swimming pool walls and the pool after 20 plus years was starting to look tired. The owners decided to complete renovate the pool. We removed all the old tiles, removed the ladder steps, created new larger roman steps over existing ones, made new pool levels (not so deep) and then plastered, insulated, re-tiled and put new stone edging tiles. 18 June 2016 is rapidly approaching, this is the official Carvoeiro start of summer party with the streets closed off and a night of music, entertainment and enjoying time with new and old friends. For Pac4Portugal Team this the last real chance to relax before the summer madness. At Pac4Portugal we are continuing to steadily build our reputation on “Personal Service, Local Knowledge”. We are often approached by potential clients wishing to add their property to the Pac4Portugal portfolio. Each potential property is vetted so to meet our standards whether a budget villa or a mid range property or the more luxury villa. 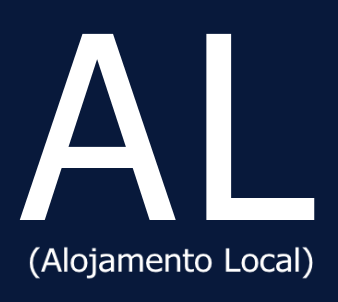 All properties must apply or already have the Alojamento Local (Tourist Licence). Sometimes owners tell you that they have a property which is stylish and furnished to a high standard, but when you visit the property you realise their standards are very different to ours. However last week when we entered Casa Roseanne and straightaway the Pac4Portugal team said that they wanted it as part of our future portfolio. So we are please to announce the addition of Casa Roseanne which fits our portfolio perfectly. Stunning 4 bedroom villa with 4 en suite shower/bathrooms, furnished to a very high standard. Great outside areas, gated pool, mature gardens to explore. There are beautiful sea views and the property offers 1 or 2 families a great holiday. Praia de Centianes is around 300m away with bars and restaurants closer. 5 mins drive or 20-25 mins walk from Carvoeiro.